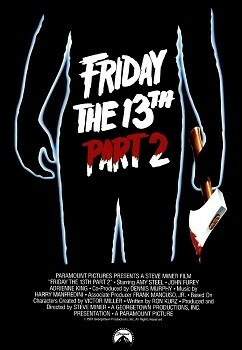 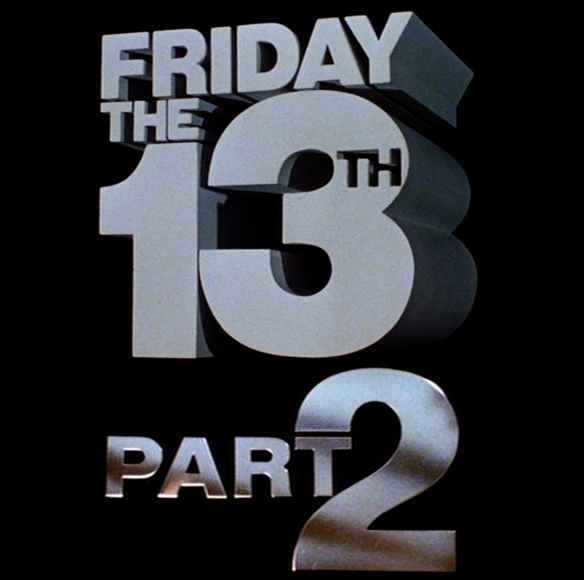 Friday the 13th Part 2 was released on May 1st, 1981. 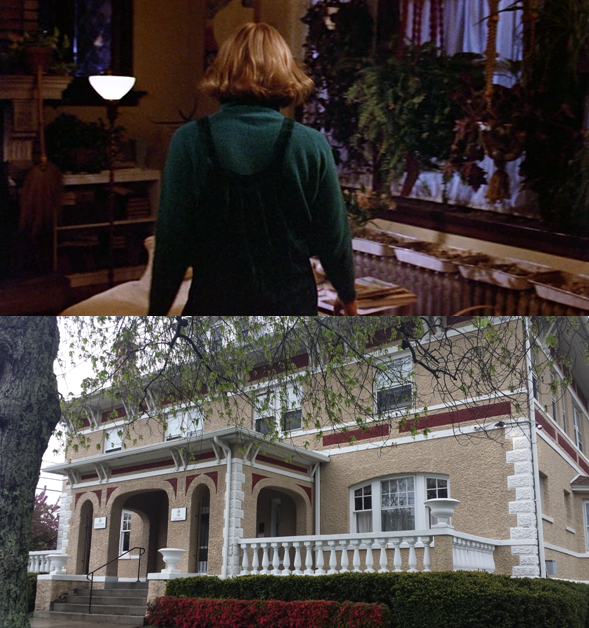 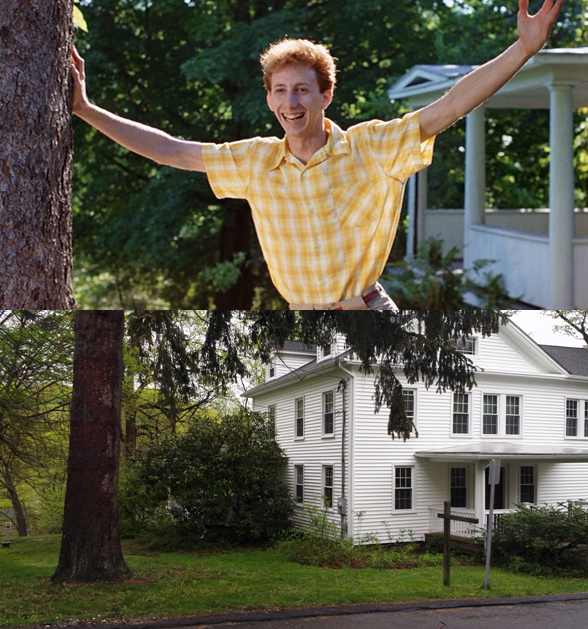 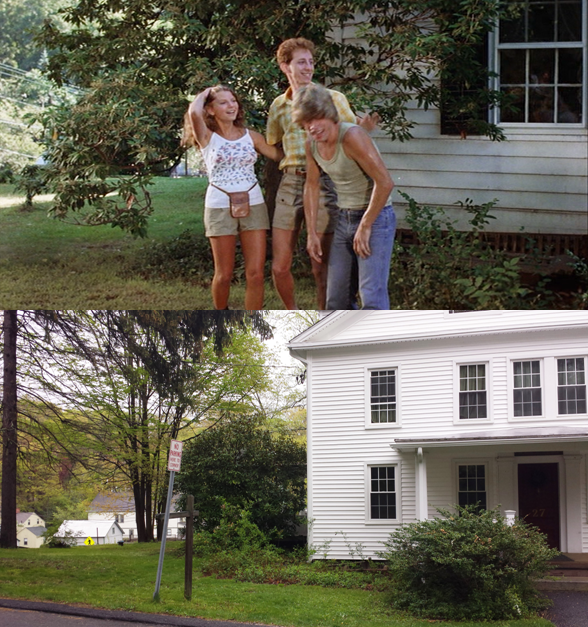 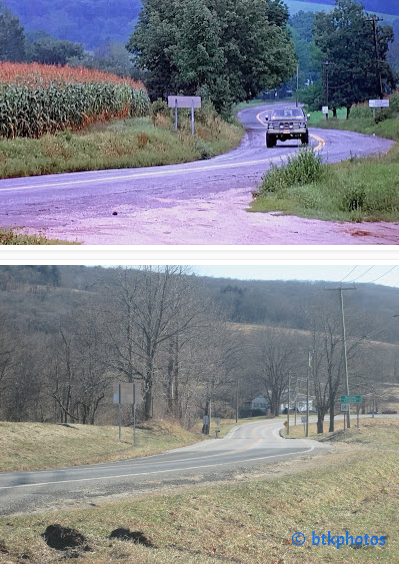 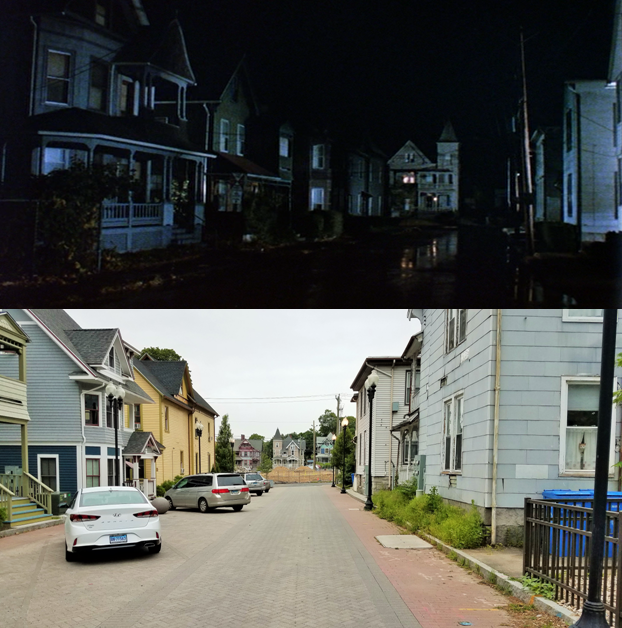 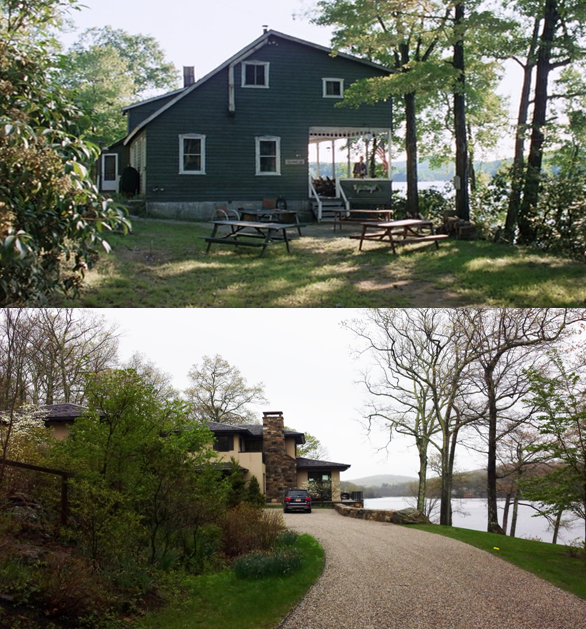 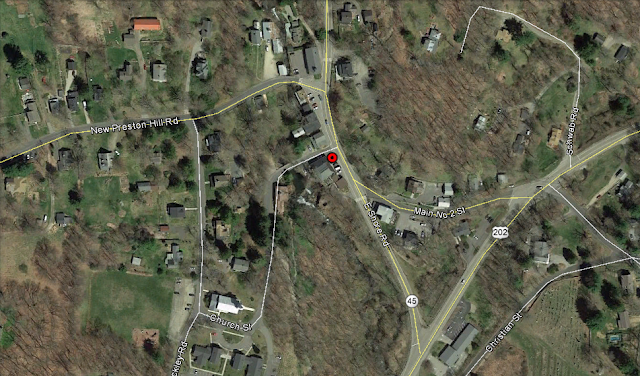 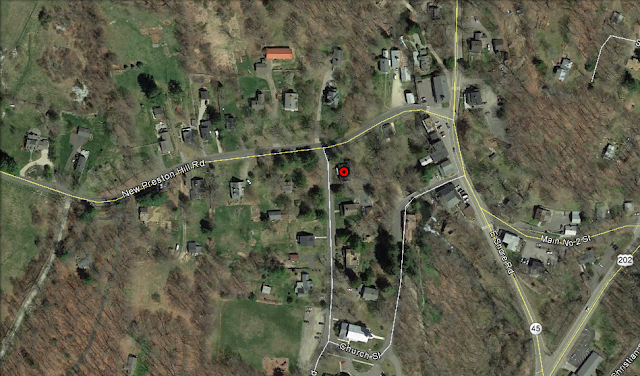 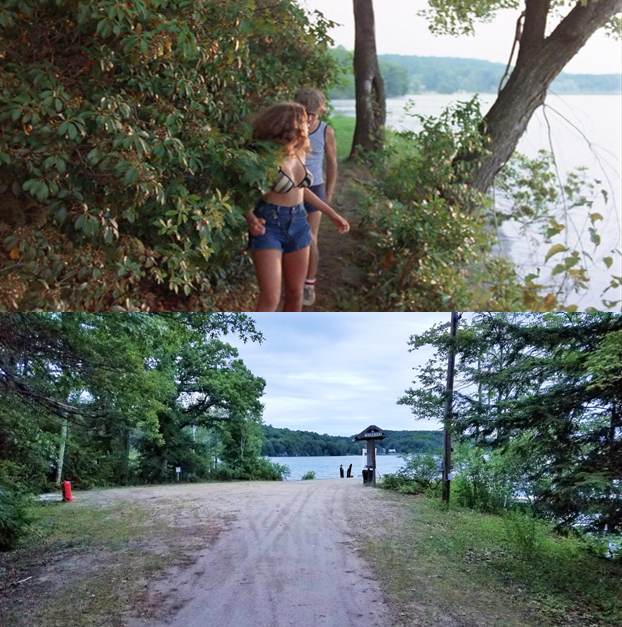 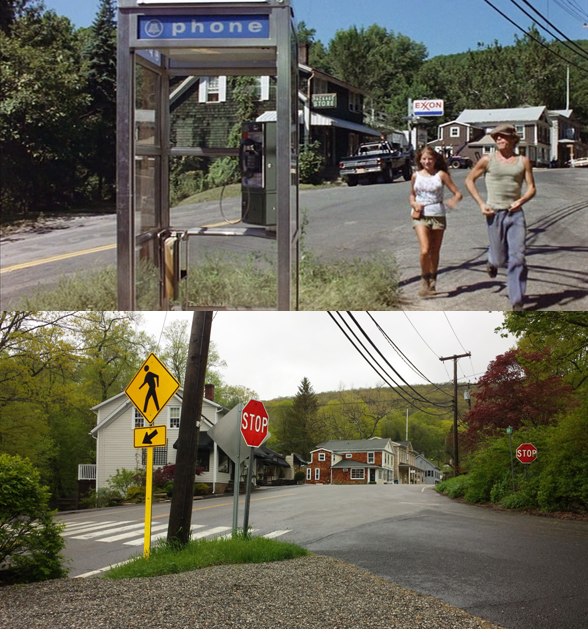 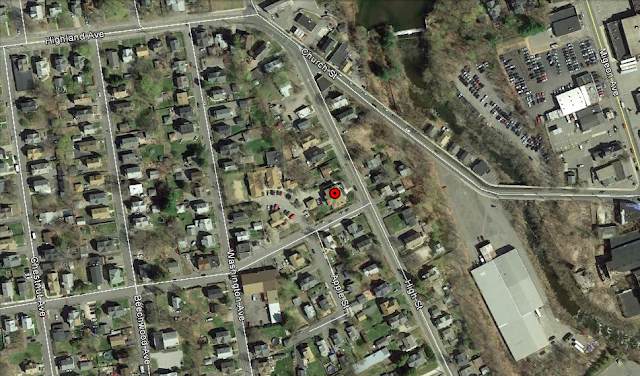 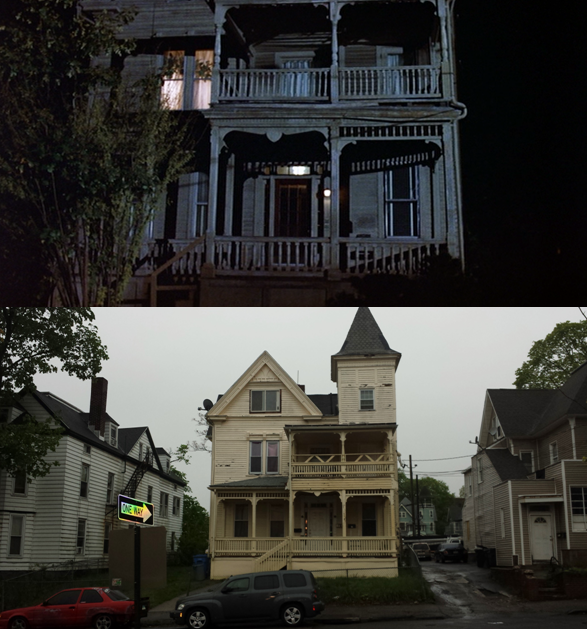 Filming locations include Kent, New Preston, Torrington and Waterbury, CT.
UPDATE: In 2018 the house, along with the two bordering houses were razed. At the time of my visit it was just an empty lot. 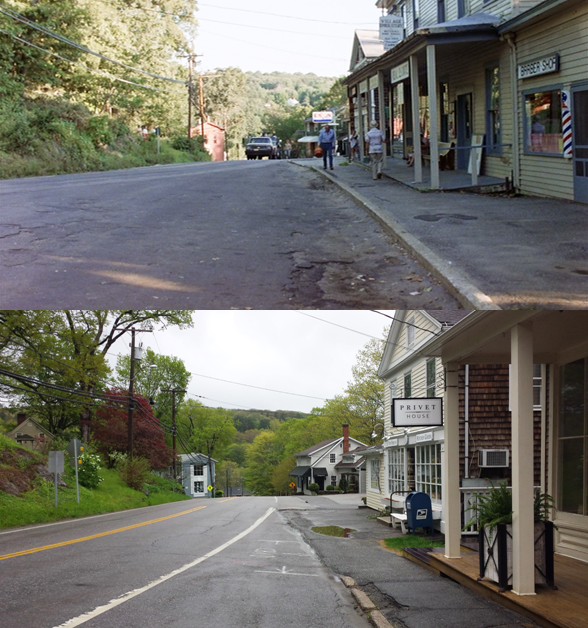 The following "Now" picture is courtesy of Brian Koppel at Reel to Real Movie and TV Locations. 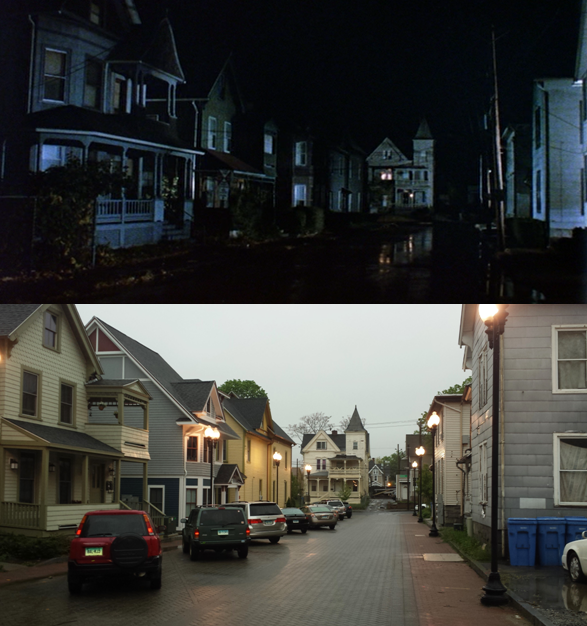 NOTE: The structures in the film were leveled in 2009 and a house now stands in their place. 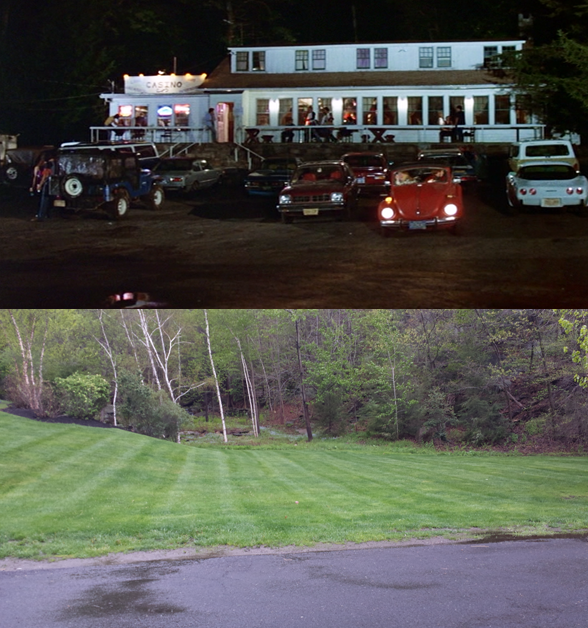 NOTE: The casino closed down in 1981 and the building burned down in 1982. 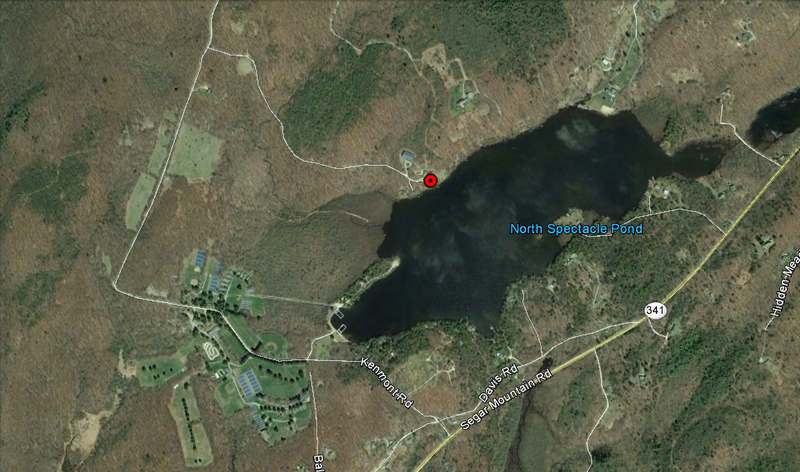 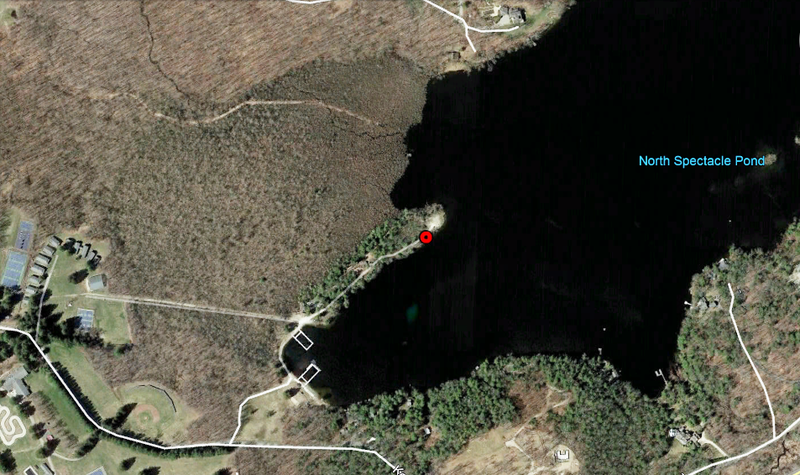 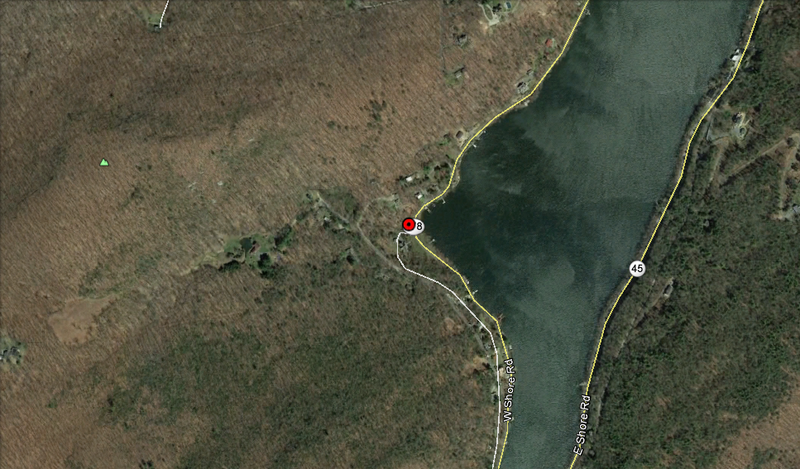 The Lake Waramaug Casino just disappeared! 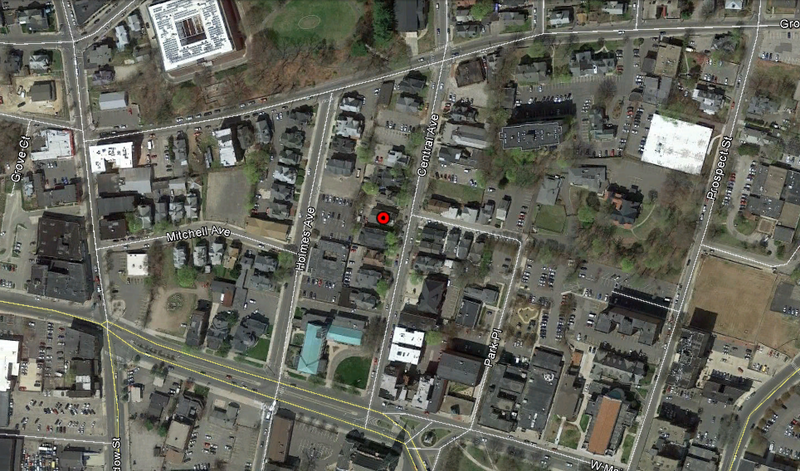 Alice's house (exterior) is no longer there. 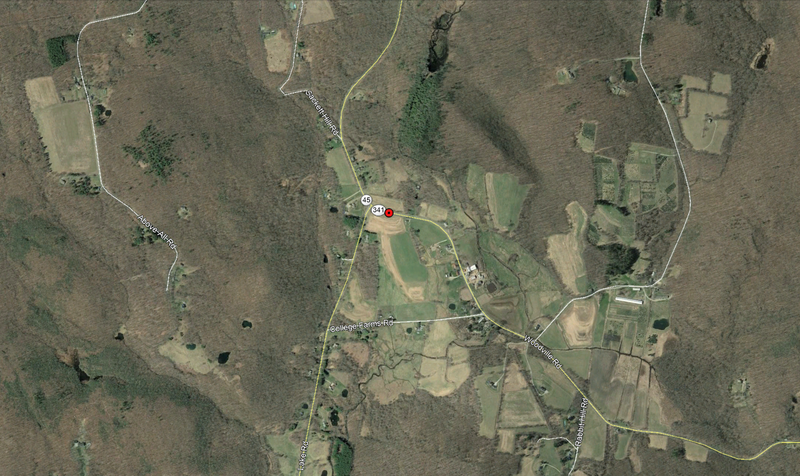 hoping to go over there in a few weeks for first time to check places out.looking forward.will look for jasons shack and everything else should i have some good pictures will post.